Hey Bloggers! I'm organizing a blog tour for Maiden's Peak, by Kristy E. Carter. 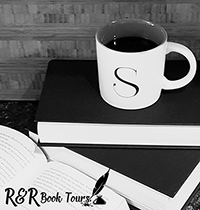 The tour runs from May 6th to May 10th and I need bloggers to host reviews spots, excerpt reveals, interviews, etc... This book is murder mystery with an urban fantasy twist. The ARC is available now in PDF only. Giveaway details to follow.